Shati (Hedychium spicatum) or zedoary an Ayurvedic herb is known to treat digestive disorders, cardiac, debility, blood disorders, respiratory afflictions, and skin diseases. Shati, the medicinal plants are known for different names viz. Gandhamula, Sthulakanda, Gandha, Jatila, Dravida, Palashi, etc. The main important part of this plant, which is used for medicinal purposes, is rhizomes. Zedoary is a perennial herb growing up to a height of one metre. To some extent, it resembles to turmeric plant. The rhizomes are oblong and aromatic in nature and available as slices in the market. 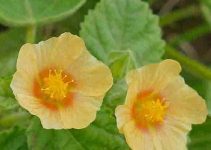 It has long, broad and glabrous leaves. 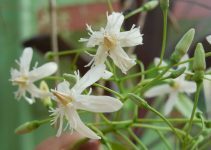 The flowers are white and covered with minute hair on the long stalk. The fruits are small, round and smooth. The plant is generally found in the Himalayan regions like Nepal, Bhutan, Kumaon region, etc. Action: Appetizer, deflatulent, mouth deodorant, etc. Hair loss: Massage the scalp with the mediated oil of Shati. The regular doing of it helps to promote hair growth and also prevent bald. Digestion: Shati is extremely useful in digestive disorders like loss of appetite, indigestion, flatulence, diarrhea, vomiting and abdominal pain. Method: The powder of rhizome (1-3 gm) is given along with honey. Respiratory problems: Zedoary rootstalk is useful in treating of asthma, bronchitis and hiccup. It also gives relief from bronchospasm and bronchial asthma. Teeth cleansing: The powder of Shati rhizome is very effective in cleansing the teeth. It is also beneficial in case of dental aches and caries. Cardiac health: The using of Shati rhizome works well in cardiac debility and cardiac health. Mouth deodorant: If you are suffering from mouth smell, it is recommended to use the ayurvedic herb. It is one of the best mouth deodorants. The small piece of its rhizome is chewed for this purpose. Headache: It is good to relief from headache, especially in case of chronic sinusitis. Method: Here the nasal administration (nasaya) of shati taila, mitigates headache and phlegm, especially Kapha origin. Joint pain: The massage of Shati (Hedychium spicatum) oil over the joints help to relieve joint pain and its swellings. 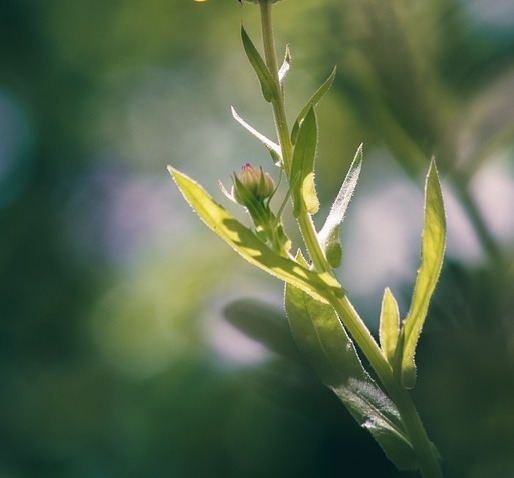 Tropical Eosinophilia: In a recent study, it has been shown that the plant rhizome is effective in Tropical Eosinophilia. Hiccup: The fumigation of zedoary rhizome alleviates hiccup. Dandruff: The massage of Shati (Hedychium spicatum) oil along with sesame oil is effective to treat dandruff. Cough: The mix of its rhizome and honey (20ml) if taken helps to cure cough. Skin infection: Applying its paste over the skin, is beneficial in skin infection. Fever: It gives relief against fever. The dosage of 20 ml can be taken after consultation with Ayurvedic physician. Blood purifier: It can also be taken to improve the blood conditions. Gas: The using of its powder helps to combat with intestinal gases. Antiseptic: It is also used as antiseptic. Aphrodisiac: The using of its powder stimulates sexual desire. Anti-inflammatory: It acts upon the body and acts like as anti-inflammatory agent. Diuretic: It helps to excrete urine and also increase the amount of urine excretion. The rhizome of shita contain sitosterol and its glucosides. Its oil contains cineole, terpinene, beta-phellndrene, pcymene, linalool, etc. the plant also have starch, volatile oils and carbonic acid. It shouldn’t be used in the following conditions.